On our most recent family trip we decided to do a short backcountry trip with our two kids aged 2 and 4. It would be our 4 year olds second trip into the backcountry and our 2 year olds first time. The reason we waited so long to take our second daughter into the backcountry was because we had one of those worst case scenarios when we took our oldest was one year old. With a few tweeks and a much shorter adventure we had one of the best times in the backcountry with our two littles. Lindeman Lake near Chilliwack, BC was perfect for our 4 year old to hike it on her own and our 2 year old to tackle in and out of the carrier. Location: Off of Chillwack Road in British and starts in the Post Creek Parking Lot. The parking lot is just before Chilliwack Lake. Child Carrier Accessible: Carrier access only. A toddler with strong endurance could complete the hike at least to the second lake and back. Please see trail description for more information. Facilities: Outhouses in the parking lot to the right of the trail head. Backountry outhouse at the lake. Bring toilet paper and a bag to pack out your waste. This hike is extremely busy. The parking lot fills up and it is common for cars to park along the road.Since the hike is short I suggest looking for parking in the lot in case early morning hikers have already come and gone. If you are planning on staying overnight then try to hit the trail by 9 or 10 am. The start of the hike starts to the left of the outhouses and actually goes downhill on a wide dirt path. After a short distance you will come to a sign and make sure you follow the Lindeman Lake trail. From there the trail becomes single tracked and has lot of big rocks. Our 4 old handled the big rocks and so did our two year old. After about 700 metres the hike begins to climb. That is when convinced our youngest to go into the baby carrier. Luckily she fellt alseep as I trudged up the mountain. The trail is degrating a bit which makes the footing a little slippery. Our 4 year old handled it well going up but on the way down we held hands alot to keep her from slipping. You will continue to climb for the rest of the hike. Eventually it will level out and the terrain becomes easy as you pass some backcountry tent pads before reaching the lake. There are other backcountry spots beyond the lake to set up camp as well. We never made it to Green Drop but that is another lake to check out while exploring that area. Want another great hike for kids that is beautiful? Joffre Lakes, BC is a challenging hike for kids that will take you up to beautiful blue glacier water and stunning mountain views! 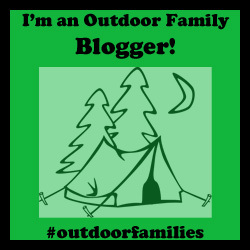 ← Born to be Adventurous Outdoor Family Holiday Giveaway!